Major cuts to SEC budget preceded the 2008 recession. I emailed a chart similar to the one below (through 2009) to the BUHealth email list in July 2009. 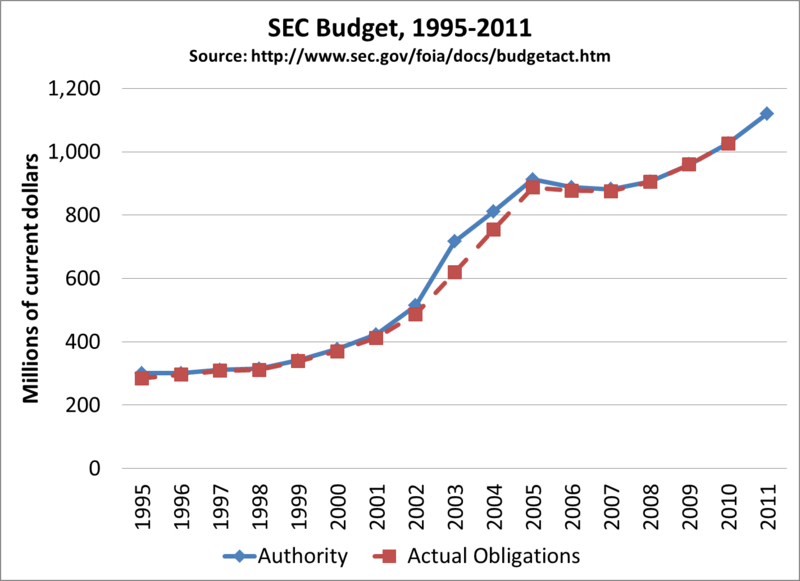 Note how the SEC budget was cut from 2005-2008. It was not a surprise that terrible things (Madoff, AIG, Lehman, etc.) became much more of a problem. My view is that George W. Bush and the Republican congress caused a lack of oversight by the SEC, which caused the 2008-10 financial crisis.